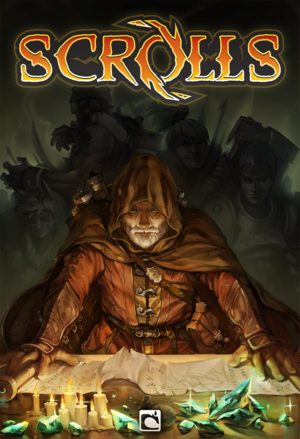 Originally titled Scrolls, the game was renamed to Caller's Bane and was made available for free with community run servers on the June 20, 2018. No further development. Official game servers shut down on February 13, 2018. The experimental Linux version never made the transition to Caller's Bane. Official website - News, announcements and other information. Official devblog - Personal ideas, thoughts and insights. 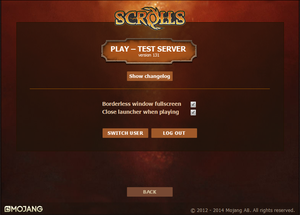 Pre-configured for the Scrolls Guide community server. All versions require an account on a community server. Progress and stats are automatically saved online. To be enabled in launcher. Mouse driven. Ctrl toggles unit stats. Requires the game server to be running on the local computer. Requires the game server to be running on the local network. Uses community servers since June 20, 2018 after the official servers shut down on February 13, 2018. 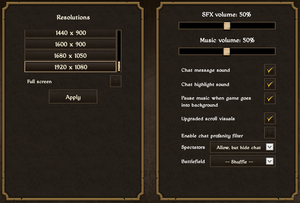 Caller's Bane is only available for Windows and OS X. The experimental Linux version was last updated 2015-09-30 according to the modified timestamps on some of the files in the archive.